Every Child By Two’s (now Vaccinate Your Family’s) online pages have reached over 11 million people with evidence based vaccine messaging in 2016. As we look back at the record number of views and shares there have been on Shot of Prevention blog posts this past year, we’re especially grateful to our blog readers, contributors and subscribers. Whether you have shared a post, shared your story, or shared your expertise, know that our growth and success would not have been possible without your support. Thanks to you, people are referencing our content before making important immunization decisions for themselves and their families. In these final days of 2016, we hope that you will revisit these top five posts from the past year and share them with others in your social networks. Together, we can continue to engage more people in these important immunization discussions. 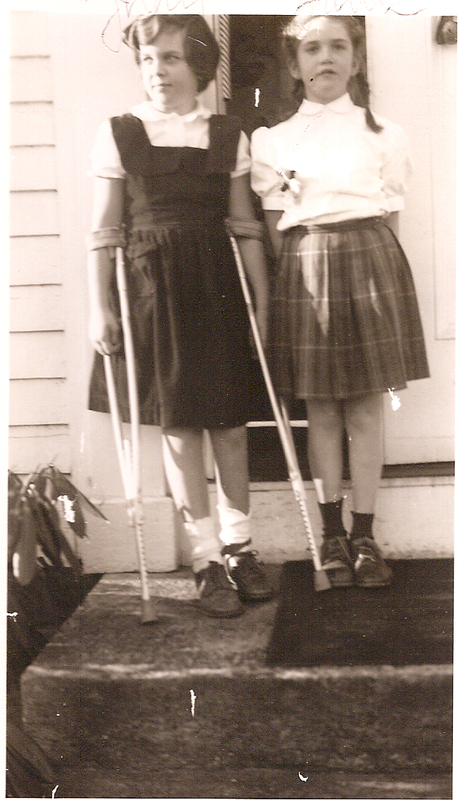 In 1949, Judith contracted polio along with 42,000 other people in the U.S. Judith survived five months in the hospital and multiple surgeries, but sadly 2,720 people died from polio that year. As Judith bravely shares her story, she explains that it represents an inconvenient truth to people who are in denial about the risks of polio. She is continually shocked by people who refuse vaccines, who refuse to believe she ever suffered with polio, or who actually believe the polio vaccine is part of a government or “big pharma” conspiracy. By sharing Judith’s story we hope to encourage continued polio vaccination and support of polio eradication worldwide and applaud people like Judith who are courageous enough to speak out in support of vaccines. To read Judith’s story, click here. Emily Stillman was pronounced brain-dead just 30 hours from the onset of a severe headache. What they though was a migraine turned out to be meningococcal disease. In this post Emily’s mother Alicia explains that although Emily received a meningococcal vaccine, the MCV4 vaccine she received only protected her against meningococcal serogroups A, C, W and Y. It did not protect her against serogroup B, which is what caused Emily’s death. Since Emily’s death, a MenB vaccine has been approved for use. However, most parents still don’t know it exists and therefore, most students are still not protected. 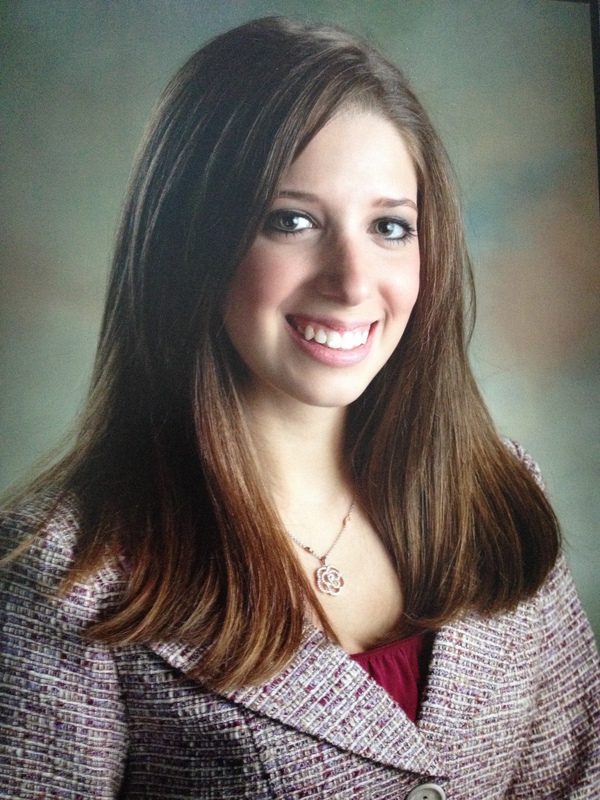 As the Director of The Emily Stillman Foundation, Alicia Stillman helps educate people about the importance of “complete and total” protection against all serogroups of meningococcal disease. This means ensuring that teens and young adults receive both meningococcal vaccines; the MCV4 vaccine that protects against serogroups A,C, W and Y, as well as a MenB vaccine series. To learn more about fully protecting our youth against meningococcal disease, read Alicia’s guest blog here. Although the human papillomavirus (HPV) vaccine is one of the most effective ways we have to prevent numerous types of cancer, it is still being grossly underutilized. As a result of persistent but inaccurate myths circulating on the internet, some parents are more fearful of the HPV vaccine than the virus itself. This is causing them to refuse or delay HPV vaccination for their children. 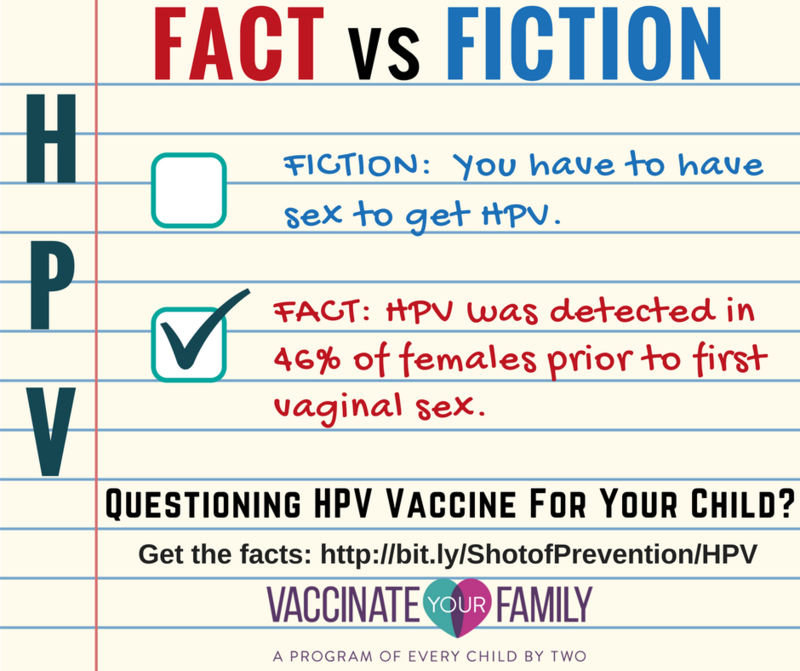 In this popular blog post, we highlight ten critical facts that address the most common misconceptions about HPV infection and the vaccine that can help prevent this very common infection. To learn more, be sure to read the post here. 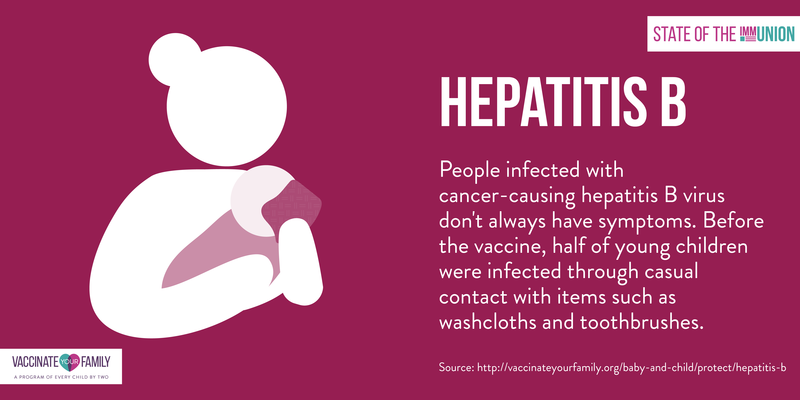 There are many misconceptions about hepatitis B and how the infection is transmitted. Because of this, many parents don’t consider their children to be at risk of infection and so they question the need for a hepatitis B vaccine at birth. In this post, the Prevent Cancer Foundation explains the connection between hepatitis B and liver cancer and discusses ways in which infants and children can unknowingly contract hepatitis B. Their Think About the Link™ education campaign suggests that vaccinating infants before they leave the hospital is a critical first step in protecting your newborn from a virus that can lead to cancer later in life. To learn more about Hepatitis B and the vaccine to prevent it, click here. 5. Barbara Loe Fisher is Right. She’s Also to Blame. Back in the 1980’s, Barbara Loe Fisher claimed that the whole cell pertussis vaccine (DTP) was dangerous and causing too many adverse events. Her complaints prompted the development of the more purified (acellular) pertussis vaccines that we use today; DTaP for infants, and Tdap for adolescents and adults. While studies have shown that these newer vaccines are not as effective as the old whole cell pertussis vaccine, they are the best protections we have against the dangers of pertussis. Unfortunately, those who need protection the most are those who are too young to be vaccinated. 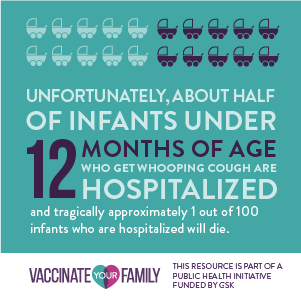 Infants are at high risk of severe complications from pertussis, to include hospitalization and death, but babies don’t begin receiving pertussis vaccine until two months of age. After newborn Calle Van Tornhout contracted pertussis from a hospital nurse at birth, she died at just 37 days of age. Callie’s death has had her home state of Indiana considering a bill that would mandate pertussis vaccination among health care workers. But Barbara Loe Fisher is opposed to that as well. To read more about the history of pertussis vaccines, click here. Don’t miss any of our new posts. You can also visit our Vaccinate Your Family website, “Like” our Vaccinate Your Family Facebook page, and follow us on Twitter (@Vaxyourfam) and Instagram (vaccinate your family), to receive updates on important immunization news and join in our online discussions.